Punjab. 19th March 2015. 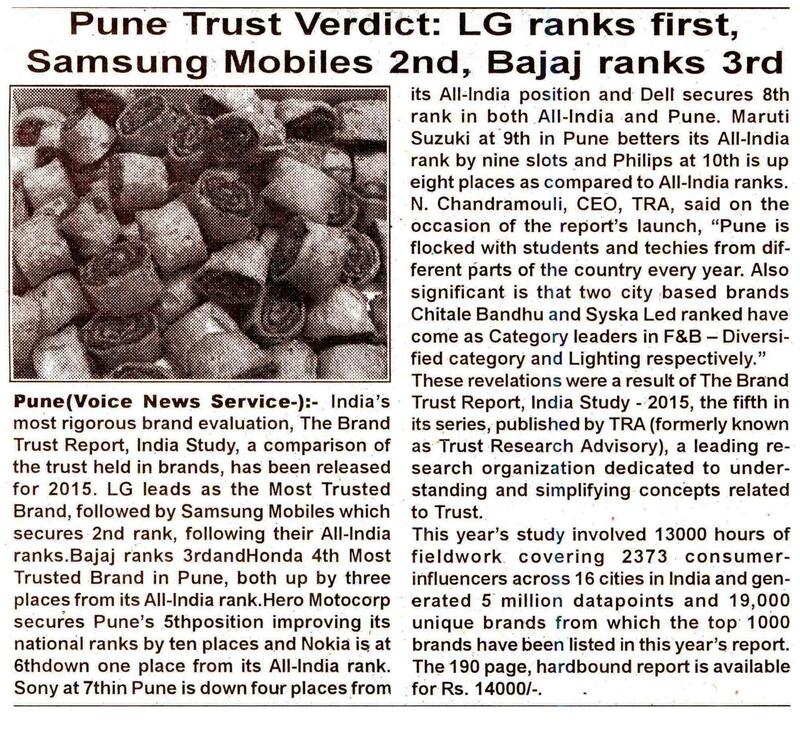 India’s most rigorous brand evaluation, The Brand Trust Report, India Study, the fifth in its series, comparing the trust held in brands, has been released for 2015. Punjab has always been a key hub for agro-based industries and it comes as no surprise that the Most Trusted Brands in the State are from the food and beverage and agriculture sectors. In this report by TRA (formerly Trust Research Advisory), brands Verka (All India Rank 365th), and LalQuilla Rice (All India Rank 692nd) are featured in the Food and Beverage Category. Tractor manufacturer Sonalika (All India Rank 407th) is the only brand in the category of tractors. In addition, Chandigarh based Swaraj Mazda (All India Rank 450th) makes a new entrance under commercial vehicle manufacturer category, only 8 ranks away from the category leader, Ashok Leyland. Hero Cycles too has made it to the top 1000 and ranks 793rd among the 1000 Most Trusted Brands listed in the report. Given the state’s strong association with agriculture, the Punjab government has a daunting task at hand as it is set to emerge as the next pharmaceutical and IT hub of the country. While this transition has potential to generate more skilled employment through the “Invest Punjab” initiative, it is essential to take into account the current perception for the development of the upcoming venture’s success in the state. These revelations were a result of The Brand Trust Report, India Study – 2015, the fifth in its series, published by TRA (formerly known as Trust Research Advisory), a leading research organization dedicated to understanding and simplifying concepts related to Trust. 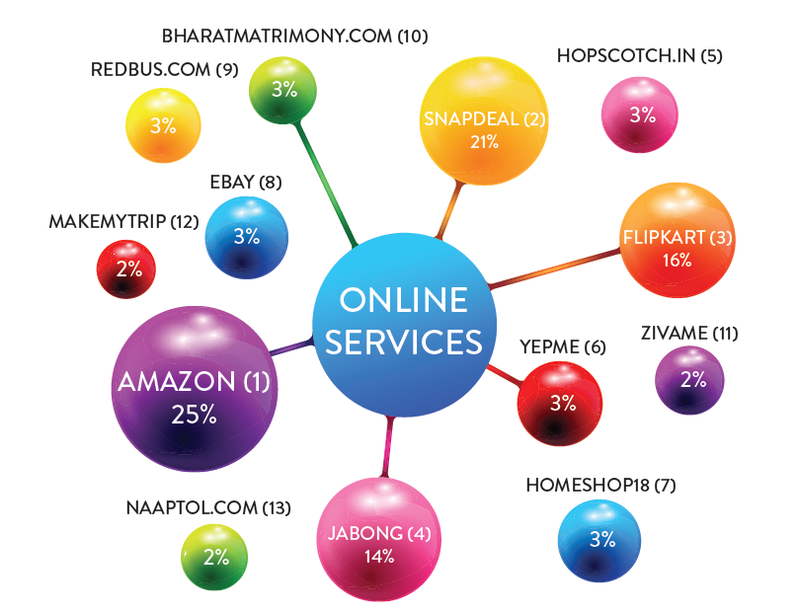 This year’s study involved 13000 hours of fieldwork covering 2373 consumer-influencers across 16 cities in India and generated 5 million datapoints and 19,000 unique brands from which the top 1000 brands have been listed in this year’s report. The 190 page, hardbound report is available for Rs. 14,000/-.